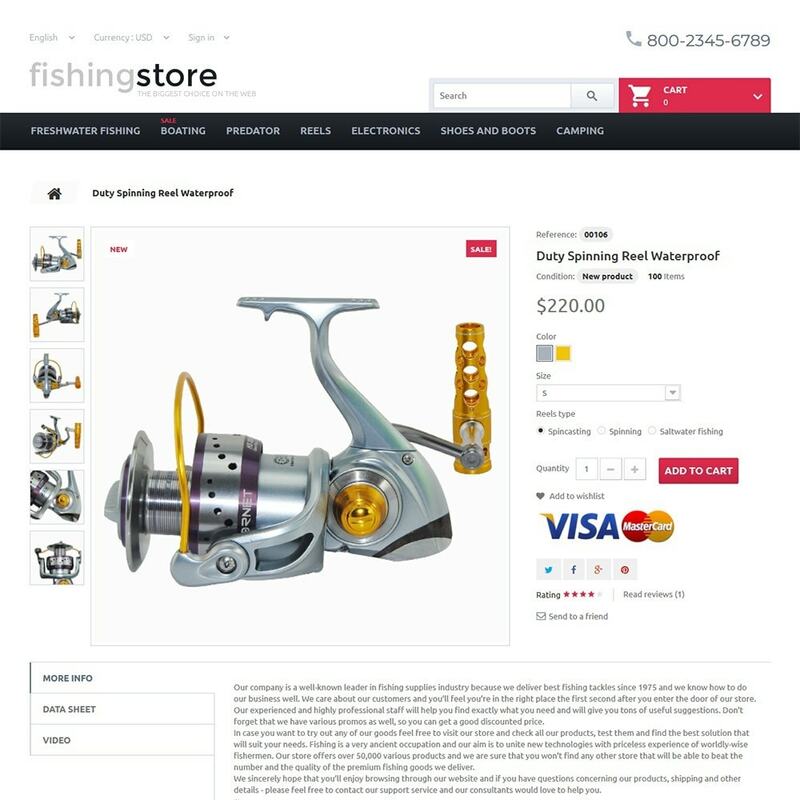 Oszczędź $20.00 wybierając tę opcję już teraz. 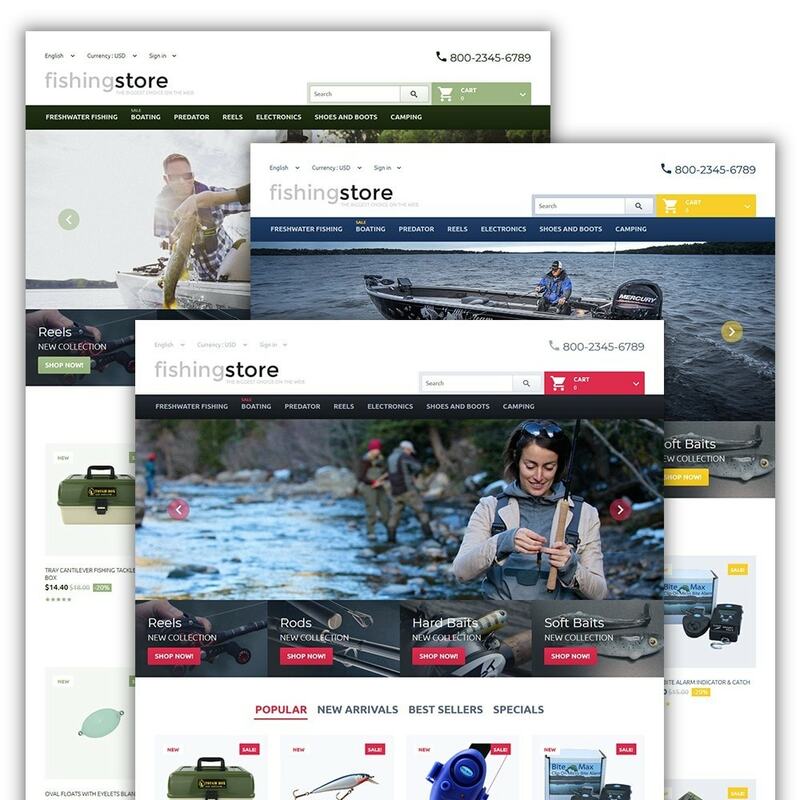 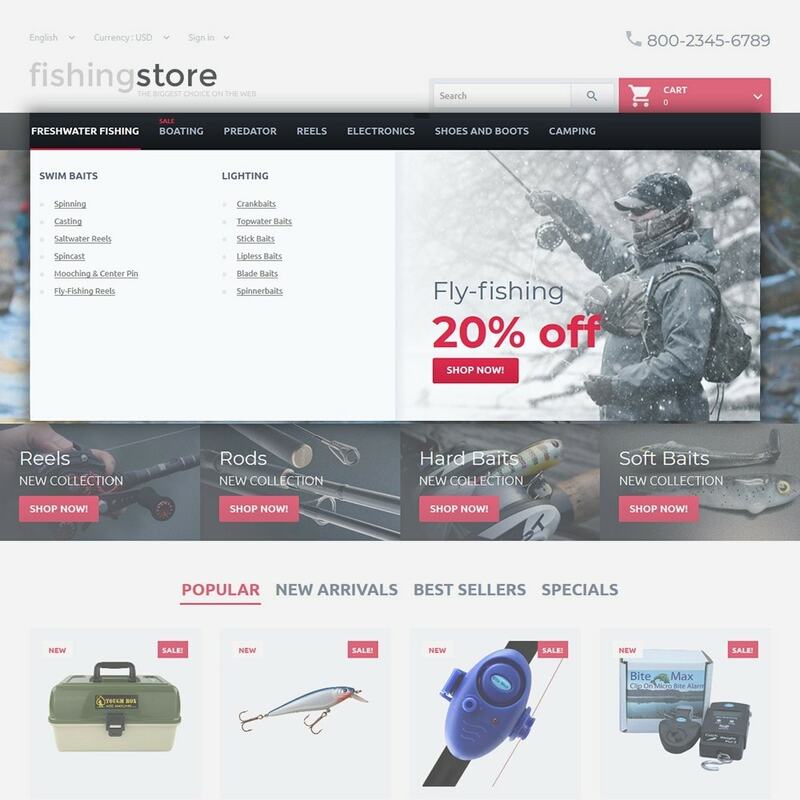 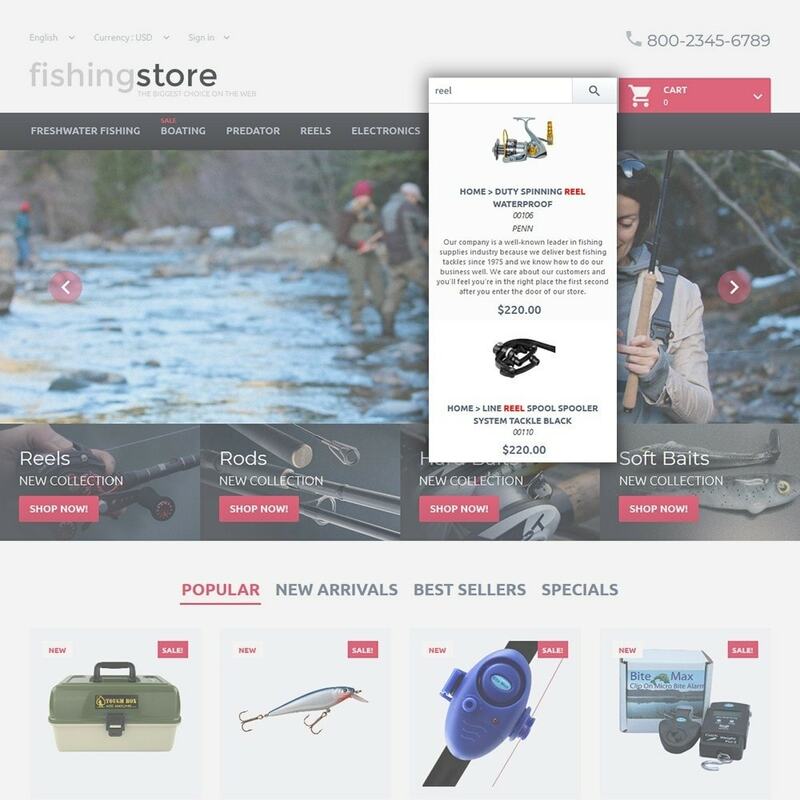 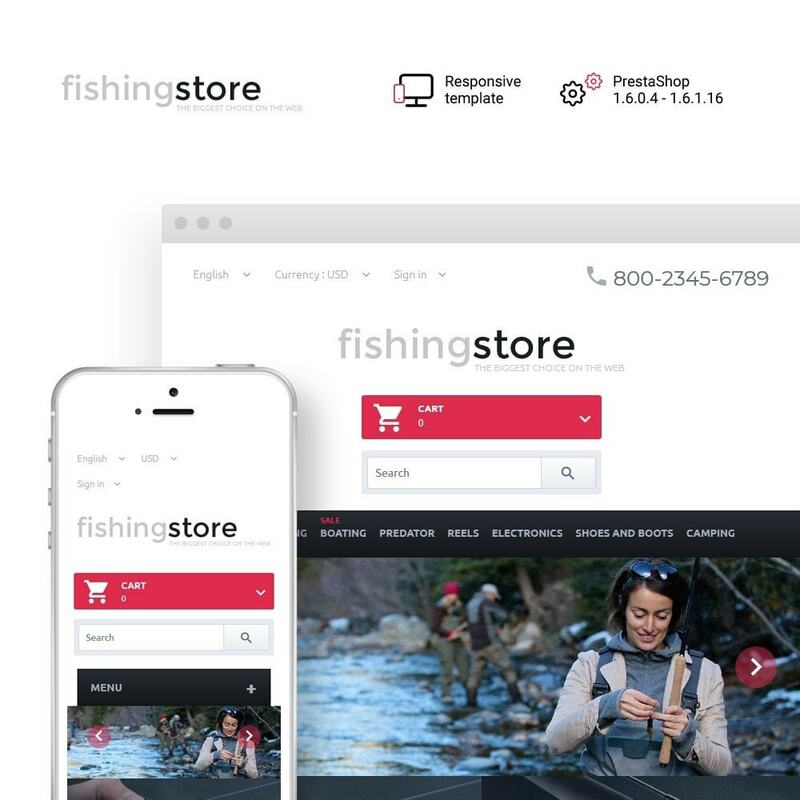 Fishing Gear PrestaShop Theme can become a rock-solid foundation of sport and travel related stores. 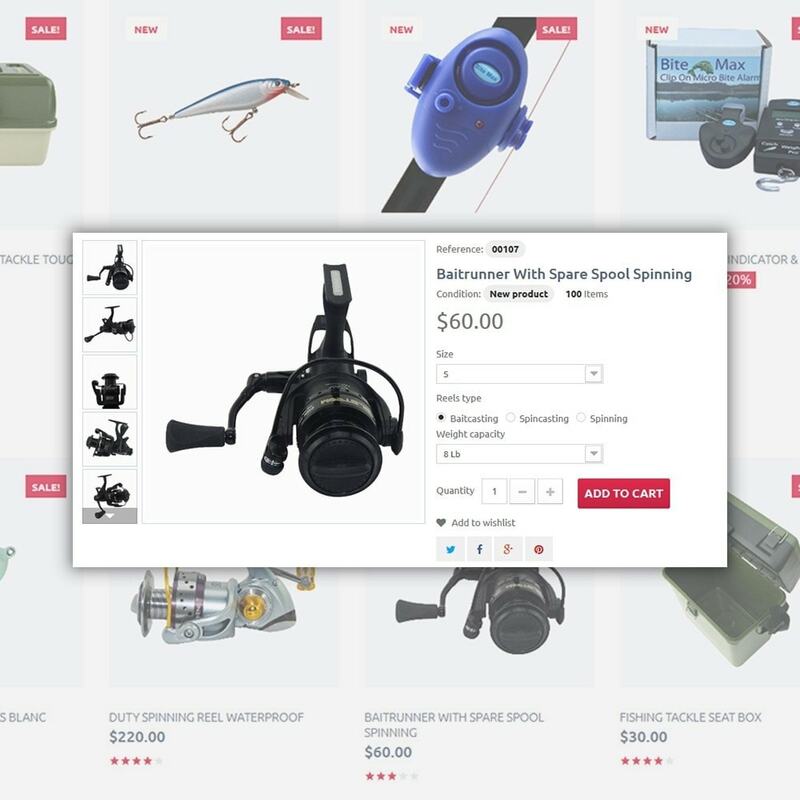 Speaking about the presentation of the store's items, they were supplied with product banners, bold CTAs, star rating, hover effects and much more.